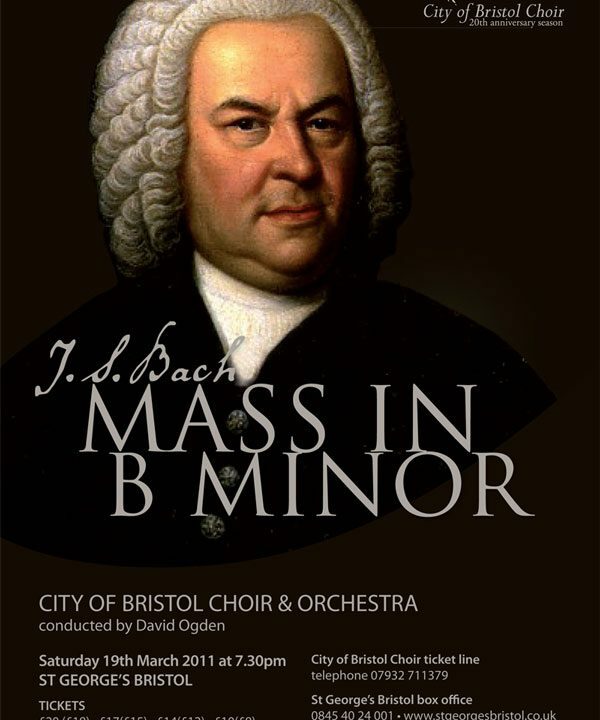 Described as ‘the greatest work of art of all times and all peoples’, the Mass in B Minor was Bach’s final choral work and, alongside his Passions, the crowning achievement of his lifetime’s work as a church musician. This performance, with chamber orchestra in the intimate acoustic of St George’s Bristol is sure to be mesmerising, showcasing City of Bristol Choir’s versatility moving from the hushed, deeply moving moments in the Credo to the exhilarating, fast-paced choruses. Carris Jones graduated from the Royal Academy of Music in 2008 with the Bennett of Lincoln scholarship and a DipRam, the Academy’s highest performance award. Her extensive experience on the oratorio platform includes performances across the UK of Mendelssohn’s Elijah, Mozart’s Requiem and Coronation Mass, Bach’s Mass in B minorand Christmas Oratorio, Handel’s Messiah, Beethoven’s Mass in C and Vaughan Williams’ Serenade to Music. Carris also has a busy schedule of ensemble work, singing with the Gabrieli Consort, the Kings Consort and Tenebrae. She has performed at the BBC Proms under Bernard Haitink and at the Royal Festival Hall under Daniel Harding. She is a founder member of Stile Antico, an unconducted early music vocal ensemble whose recordings have won a Classic FM Gramophone award and been nominated for the prestigious Grammy awards.